Ready now! New home with builder 2-10 limited warranty! Gorgeous 2-story home with walk-out basement and spacious yard, backing to lovely neighborhood park! Youll appreciate lots of light with an impressive volume ceiling in the living room that flows beautifully to your large dining room and gourmet kitchen open to your spacious great room area. A private guest suite on the main level is a welcome addition. Your fabulous master suite is complete with its own fireplace and views of several park and open space areas. Youll also enjoy relaxing and entertaining on your generous covered deck. Full front and rear yard landscaping with irrigation system and fencing are included. 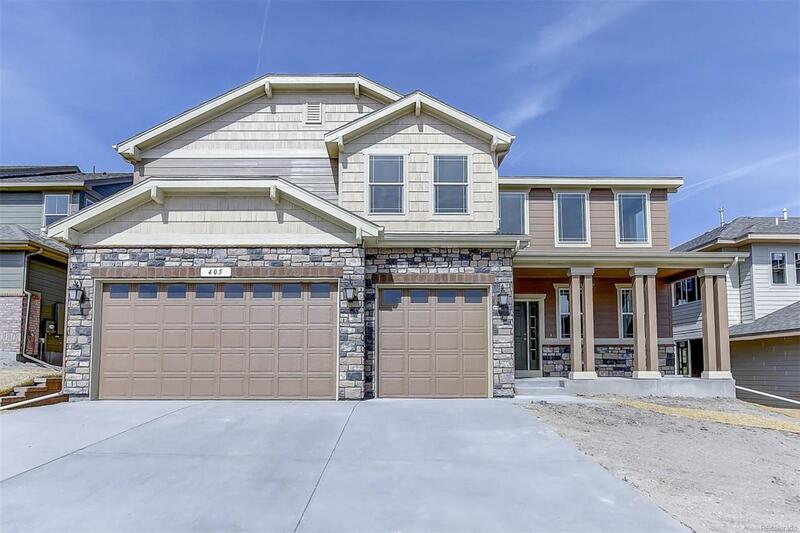 Park Preserve is nestled in close proximity to the Philip S. Miller Park and Ridgeline Open Space with miles of hiking/biking trails and more! Dont miss out on this amazing opportunity to live in this community!